The AoSu is MoYu's 2nd entry into the 4x4 market. The AoSu features vast improvements over the WeiSu and has become the main of many of the top speedsolvers. It is slightly lighter than the WeiSu, and performs well right out of the box. Max Kuehnert said: Instant Main!! Out of the box this cube was outstanding. It was smooth, fast, and very stable. I have done a couple hundred solves any got my PB Av. of 100, 50, 12, 5, and 3!! I would recommend this product to anyone that takes 4x4 seriously. To me, there is nothing wrong with this cube. Man this thing is smooth! I'm still breaking it in... but it's very nice. No complaints at all! At first it was slow and tight but after I loosened it and broke it in, it became a very nice puzzle and my main, however it can be a little loud if not lubed. Out of the box, it was pretty slow and sluggish. After I lubed it cyotheking style with traxxas 50k it's extremely amazing. Not sure if I like the price on this since it's a whopping 25 dollars compared to a 8 dollar guansu. 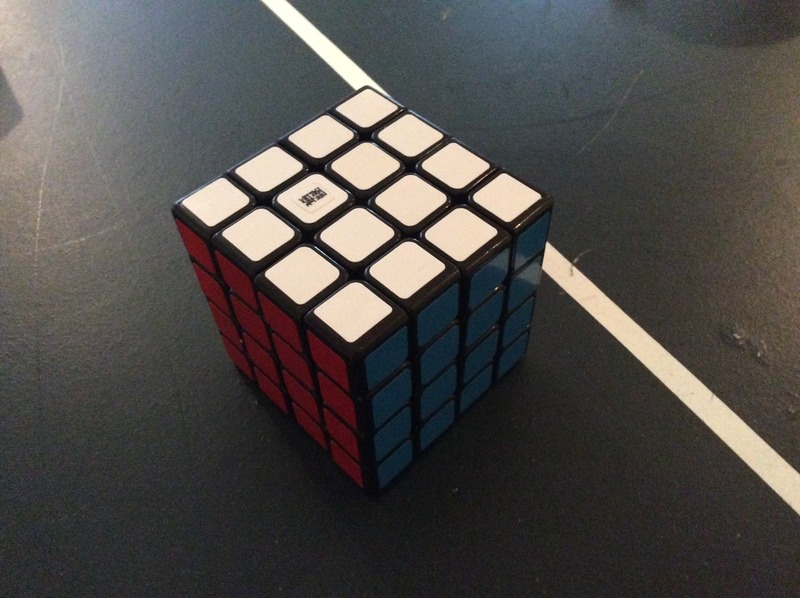 The only problem I have with this cube, along with many other people, is the center caps. They pop off often and it is very annoying. Other than that and the very high price, it performs well. The Moyu Aosu is fast, smooth, and bumpy. This elite 4x4 provides excellent performance in all areas, making it many people's current main. Out of the box it was sandy and smooth. With breaking in and setting up the cube, it will become outstanding. Although it is on the expensive side, I would easily recommend this to anyone who wants to take 4x4 very seriously. This is an excellent 4x4. It is fast, controllable, and nice to turn. I will admit that I can't quite solve 4x4 yet, but this cube is great.